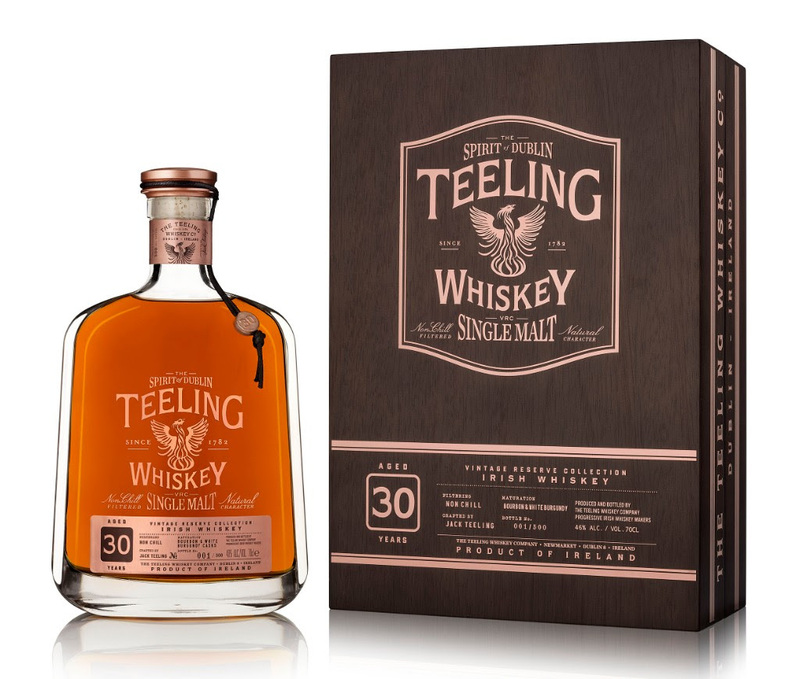 Teeling Whiskey, Ireland’s leading progressive Irish whiskey producer, has released the latest in its award winning Vintage Reserve Collection – the Teeling 30-Year-Old Irish Single Malt. 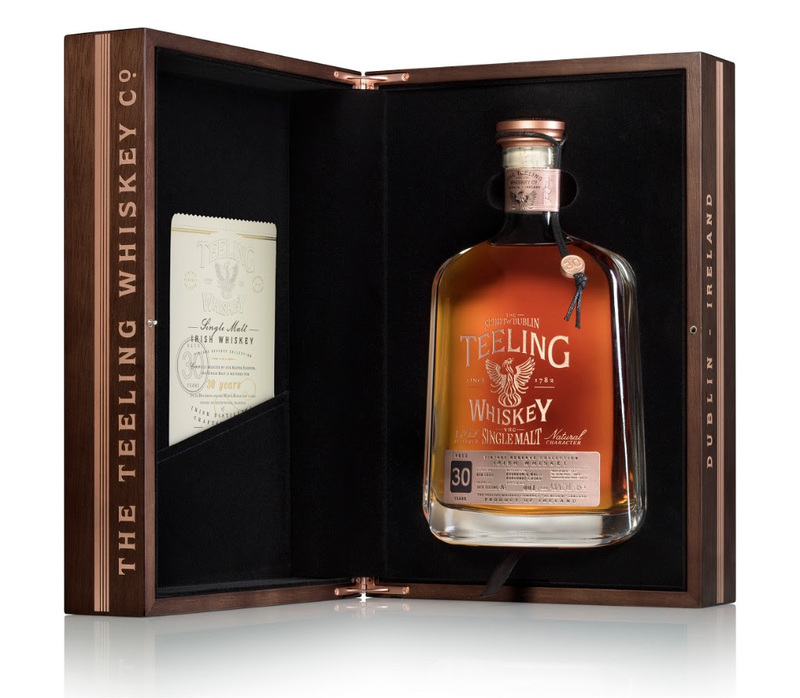 The Teeling 30-Year-Old release, which is limited to just 500 bottles, is amongst the oldest bottlings of Irish Single Malt released in recent years, making it one of the most exclusive Irish whiskeys in the world. The Teeling Vintage Reserve Collection consists of very limited releases of rare and old Irish Single Malt whiskey. The collection contains a selection of the oldest Single Malt Irish whiskey ever bottled and allows you to savour and appreciate vintage Irish whiskey at its finest. 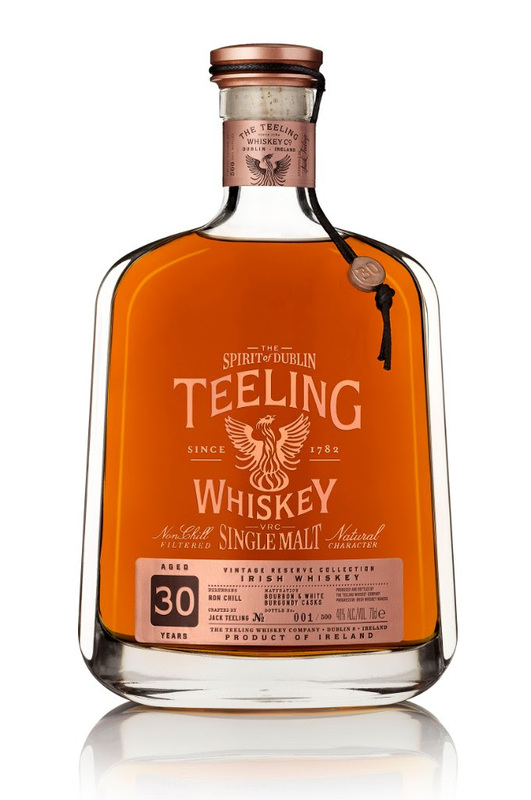 The Teeling 30-Year-Old Single Malt was distilled in 1989 and initially matured in ex-Bourbon casks for 25 years, before being given an additional 5 years maturation in ex-White Burgundy French oak casks. The unique dual maturation imparts an extra depth of fruit flavours that elevate this Single Malt into a kaleidoscope of tropical fruit flavours balanced extremely well with the deep layered malt and wood notes evident in the long, decadent finish. Each of the 500 bottles of the 30-Year-Old release were hand bottled in unique decanter bottles and come in a high end wooden gift box with their own certificate of authenticity. The Teeling 30-Year-Old Single Malt is truly a unique Irish whiskey, whose rarity is matched by its distinctive character and flavour, creating a piece of Irish whiskey history to savour. The Teeling 30-Year-Old Single Malt will be available initially in the Teeling Whiskey Distillery, Celtic Whiskey Shop and Dublin Airport in Ireland retailing at a RRP of €1,500 per 70cl before being rolled out to a range of International markets including the Benelux, France, Germany, Switzerland, Russia, Australia and select Asian markets in the coming months.